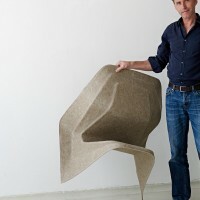 Berlin-based designer Werner Aisslinger has created the Hemp Chair. 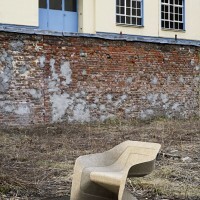 At the exhibition “Poetry Happens” in Milan’s Ventura Lambrate district, Werner Aisslinger showcased the world’s first concept for a monobloc chair made of natural fibers – a project supported by the German chemical company BASF. 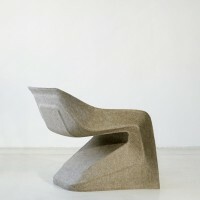 The *hemp chair* has been designed for a lightweight manufacturing process stemming from the car industry: the renewable raw materials hemp and kenaf are compressed with a water-based thermoset binder to form an eco-friendly, lightweight and yet strong composite. 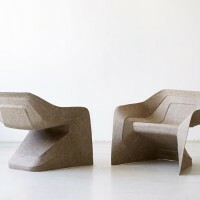 Today’s consumers are striving towards a well-balanced and healthy lifestyle that is in harmony with the environment. 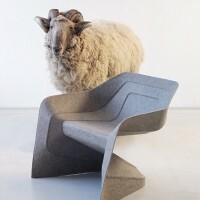 They want innovative products such as electric scooters and hybrid cars as well as new, environmentally compatible, light and durable materials. 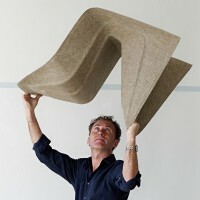 According to Werner Aisslinger, the development of the *hemp chair* marks a turning point in this trend. 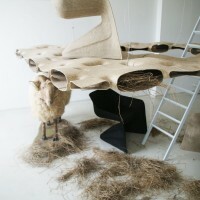 “Design history is driven by new technologies and material innovation. 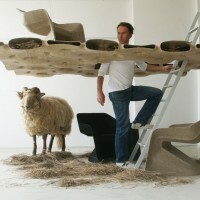 For us designers, the advent of these technologies has always been the starting point for new objects and typologies in design,” states the internationally acclaimed designer from Berlin. 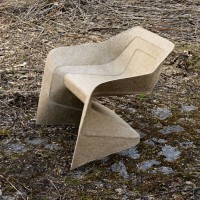 The sustainable sheet material of the *hemp chair* allows the use of more than 70% natural fibers in combination with BASF’s water-based acrylic resin Acrodur. Unlike with classic reactive resins, this method releases no organic substances such as phenol or formaldehyde during the cross-linking process. The only by-product of the curing procedure is water. Furthermore, the industrial process of compression molding accounts for low-cost mass production of three-dimensional objects with high mechanical resistance and very low specific weight. This production method is widespread in the automobile industry. 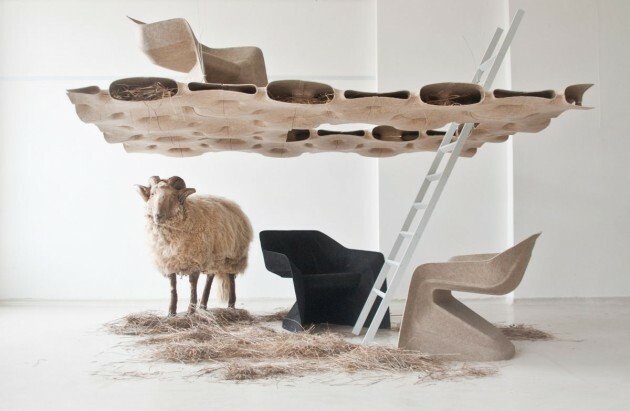 Natural fiber composites are often used in lightweight components such as door linings, glove compartments or rear shelves.